Welcome to the Museum of the City of New York’s Collections Blog. Since the blog launched in June of 2011, we’ve shared over 100 posts about our collections objects and the activities that go on in the Collections Department. You’ll hear from our photographers and catalogers as they share some of the stories behind the objects that are currently being digitized; get a sneak peek at material before it’s available on the online Collections Portal; hear from the archivists and curators who care for the collections; and experience what goes on behind the scenes of exhibition installations courtesy of the exhibitions team. The Museum is committed to providing access to its collection, which includes nearly a million objects across collections of prints, photographs, drawings, manuscripts, ephemera, objects related to the theater, costumes, textiles, furniture, decorative arts, paintings, sculpture, and more. Since the Portal launched in December of 2010, we’ve uploaded more than 125,000 images. The digital project is staffed by two catalogers and two photographers, whose work is made possible by many generous funders. As a complement to both the online Collections Portal and this blog, the Museum has created a “catablog” to provide short descriptions of discrete collections via blog posts in order to increase access to archival collections still awaiting digitization. When available, the posts also link to the full archival finding aid for a collection, and any materials from the collection that have been digitized and made available on the portal. The posts have been tagged with relevant subject terms, and are searchable, allowing researchers to navigate through previously undiscoverable collections. We hope you enjoy this blog, as well as exploring the other windows to our collections, such as the Portal and the catablog. 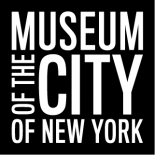 Click here to visit the Museum of the City of New York’s Website. of the teapot, or can you direct me to another resource? Subject: Want to contribute to your website. I’m Ahad Anwar from bestchairspot.com. I found your site (https://blog.mcny.org) while doing guest post outreach. The design and the content of your website is really impressive. My website is also in the same niche as yours and I hope you will like it. I would like to contribute a guest post on your site. In return please mention my site from your site. If you are interested then I can write a post of your choice. You can send me a keyword or a title and then I can write the post for you. And make sure the title is relevant to my site. I will get the content written from HireWrites.com. Related terms= Furniture, Office chair, beach chair, accent chair, massage chair, home improvement, plastic chair, list chair and others chair or furniture related terms. I hope you liked the deal and please let me know your decision.